Like every other girl, my little munchkin loves anything princess, from dresses to crowns and tiaras. Her old crown is broken after we ran into an unfortunate accident during our travels boo! And since mommy wants to always see her happy, decided to make a lace crown as adorable as her cutie pie. 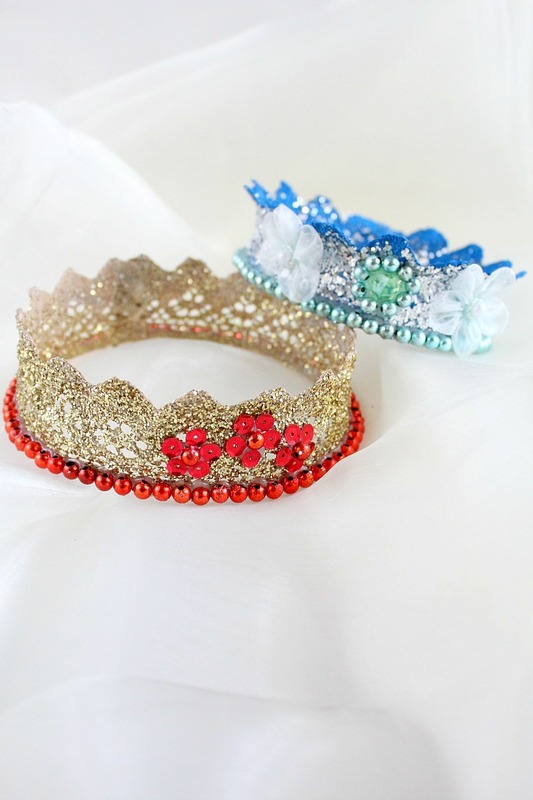 Because what’s more fun than making your own crown? While this lace crown diy is not super quick, it’s something you can make in about 3-4 hours and the result is simply stunning! And I’m not even going to mention how high you’re gonna score in your little princess’ book! She’ll fall head over heels for this gorgeous lace crown! These are also great for kids parties or dress ups! 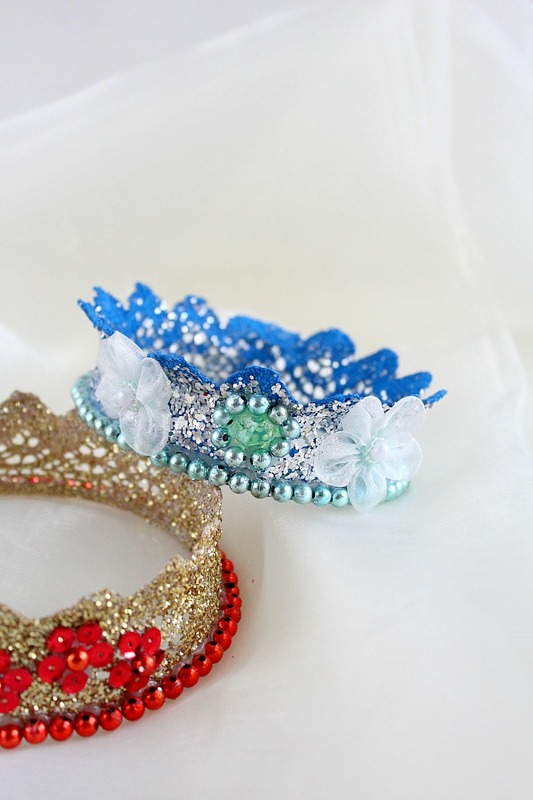 And you can customize your lace crown with your choice of lace and paint color, by adding glitter, pearls, rhinestones etc whatever you need to truly make this project yours! 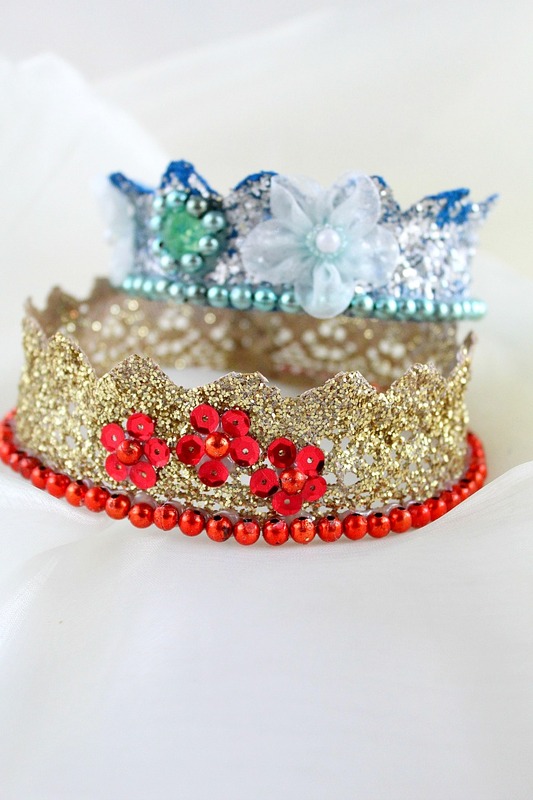 Every little girl dreams to be a princess, even for a day so why not make her dreams come true?